Grants and scholarship programs are offered throughout the country to students on all levels who are majoring in all fields of study. Some of these programs will, however, be state specific and will either be offered only in one state or will have been developed specifically for residents of that one state. Scholarships, grants and loans all fall under the heading of financial aid but grants and scholarships are different from loans in that they do not have to be repaid. Grants, furthermore, are specifically for research projects – like a master’s degree thesis or a doctoral dissertation – while scholarship funds are made available to pay general course fees and expenses as well as, in some cases, living expenses. 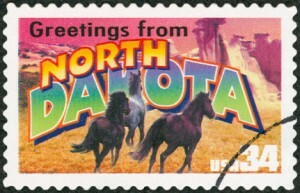 In North Dakota, most available scholarship and grant programs are offered through the public and private universities and colleges located in the state. There are, however, further programs that are available through the state’s tribal colleges as well as those that are funded and administered by private education organizations and philanthropic societies. Even though all programs will have their own individual eligibility requirements, most of them take note of academic achievement and specify a specific Grade Point Average (GPA) that a student is not allowed to fall below. Other factors that are usually taken into account include community involvement and leadership capabilities. This list is not meant to be exhaustive and students who are interested in finding out what other scholarship and grant programs are available should review websites belonging to the North Dakota postsecondary educational institutions, trade and career schools, educational organizations, large private corporations and philanthropic societies. The University of North Dakota (UND) has many differed grant and scholarship programs that its students can apply for, and most of them will require a student to file a Free Application for Federal Student Aid (FAFSA) form. Further information about the university’s many programs can be obtained directly from their Student Financial Aid Office at Twamley Hall, Room 216, 264 Centennial Drive, Stop 8371, Grand Forks, ND 58202 (tel: 701-777-3121 and website). File certain supporting documents in hard copy format along with their application. No preference will be given to any particular student due to any reason whatsoever and the awards are made solely on the basis of merit and academic achievement. Financial need is not considered for this program and applications have to be filed by March of any academic year. Further information can be obtained from UND’s Student Financial Aid Office at the above address. Cass County Area Retired Teachers Scholarship (Ethel R. Hansen and Don Papke Scholarships): this program effects one award of $1,000 per year and the deadline for application submissions is late March of any given academic year. To be eligible for this award, a student must have graduated from a high school in North Dakota’s Cass County, must be enrolled in an education program on a graduate level or be a college sophomore or junior majoring in education and must maintain a B average. The financial aid available through this private college includes academic and merit scholarships, state and institutional grants and financial loans. Further information concerning all financial aid programs offered by this school can be obtained from their campus at 6000 College Lane, Jamestown, ND 58405 (tel: 701-252-3467 and website). Students must major in either (a) biochemistry, (b) chemistry or (c) biology, math or a pre-professional science subject with a minor in chemistry.As applications for this program are generally submitted along with those for the Wilson Scholarship, they need to be filed by November and February of any given school year. A. F. Zipf Fellowship in Information Management: here a student must already be enrolled in graduate school but still be completing the initial part of his or her program and must excel in information management technical achievement and leadership. J. Robert Ashcroft National Youth Scholarship. Sitting Bull College is one of the several tribal colleges in North Dakota and it receives its funding from the American Indian College Fund. SBC has set aside a portion of the funds that it receives to create several scholarships for its students and further information concerning these scholarship programs can be obtained from the college at 1341 92nd Street, Fort Yates, ND 58538 (tel: 701-854-8000 and website). Students must also hold leadership positions in community organizations or college clubs.This program is available for those students who are enrolled either on a full-time or a part time basis and further details can be obtained from SBC at the address given above. Helen D. Hull Teaching Scholarship: students who are majoring in the field of teaching and who have experience in community service will be on the priority list to receive this scholarship, which pays two awards of up to $750 per year. Students must also be enrolled for full-time study at SBC and be able to maintain a GPA of at least 2.00. The deadline to submit applications is in late September of any given school year. North Dakota Space Grant Consortium. The Samsung American Legion Scholarship. The Annual Ethnic Minority Affairs Scholarships. I AM ABEBE FROM ETHIOPIA.I AM A BA DEGREE HOLDER IN POLITICAL SCIENCE AND INTERNATIONAL RELATIONS IN 2006.NOW I AM A PROJECT INITIATIVE EXPERT IN THE MINISTRY OF SCIENCE AND TECHNOLOGY.I AM SOCIABLE ,KIND AND ENERGETIC WORKER .I WANT TO DEVELOP MY KNOWLEDGE IN ANY SOCIAL SCIENCE FIELDS TO BE EFFECTIVE AND MORE PRODUCTIVE IN MY WORK PLACE.FOR THIS THE FIRST AND THE MOST OPPORTUNITY IS SCHOLARSHIP.SO WOULD YOU HELP ME IN PROVIDING YOUR HAND OF SCHOLARSHIP ?PLEASE!THANK YOU VERY MUCH FOR YOUR UNDERSTANDING!